Some researchers and conspiracy theorists believe that NASA is covering up the remains of an ancient civilization on Mars. 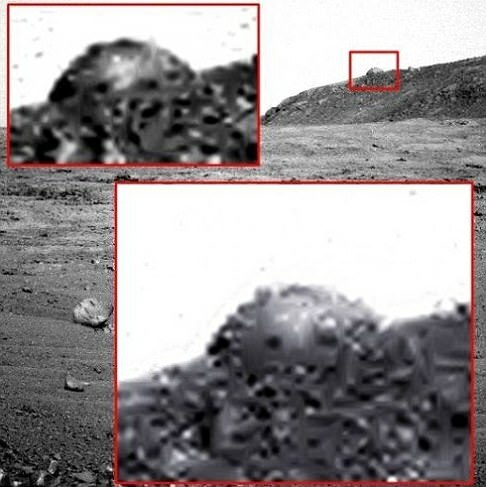 Their latest finding was captured by Opportunity rover and described as a “man-made dome” that appears to have been built by intelligent beings, or so they’d like to think. There’s reportedly glow or light in the middle of the dome, which is evidence that it may be reflecting sunlight. “What if we are looking at the ultimate evidence that proves the red planet was in fact inhabited in the distant past by beings that developed across the red planet just as humans developed across Earth? While it could be some sort of natural rock formation, that would need to be extremely strange, we cannot dismiss the fact that we could be looking at the remains of an alien structure on Mars,” said website Unsilent Majority. Continue reading for a video of the supposed dome entrance and more information. 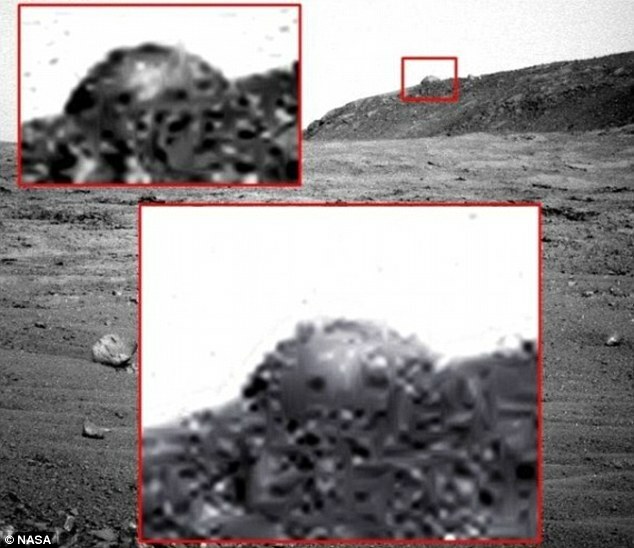 “Some huge buildings on Mars at Mount Sharp in Gale Crater. The long pier looking structure has possible windows and leads up to a large dome entrance where large pipes can be seen. It could be a pumping station. There is also a large twin building structure further up the mountain. Above the train like structure there are some dwellings cut into the rock. See for yourself. There are multiple buildings on Mt Sharp. This is the tip of the iceberg,” said the video’s creator.